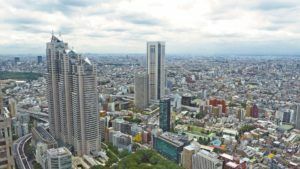 Being an expat in the beautiful and exciting country of Japan presents both opportunities and challenges. On one side, you have the modern and buzzing vibe of cities like Tokyo. On the other side, you have more historical and traditional countryside places like Takayama. Navigating through a move whether for family or work reasons can be overwhelming at first. There is a high standard of living in Japan and it is not a cheap place to live in. Knowing how to manage your existing savings and investments is crucial to your retirement and your overall lifestyle. Furthermore, a lot of expats are transient in nature. They tend to look for advice from a more international investment advisor in Japan. Below is a quick summary of how Harrison Brook can assist you as an expat in Japan. Firstly let’s look at Japan as an expat destination. If coming from a non-Asian country, Japan allows you to experience a very different way of life from the one you were used to in your home country. According to various sources, there are over 2 million expats living in Japan. Out of this number around 15,000 are British expats. Whether you have just moved or are planning to, the culture will be recognizably different in nature than that of your own. Language and communication can be a challenge especially once you leave the big cities and go explore the countrysides. There are some international schools if relocating with the family and plenty of language courses to learn the basics. Nevertheless, the natural beauty alone of Japan attracts many foreign visitors whether you are in for the short or long term haul. Transparent fee-only services – A lot of offshore advisers still charge a commission which can be expensive or hidden. We offer low fees with no hidden charges based on the UK model. Investment and savings plan – With the online platform we use, you can get back control of your investments and track the performance of your chosen or recommended funds no matter where you live. There are over +2,500 funds to be chosen from so you know you will have access to the largest range and best value international funds so you can relocate efficiently and effectively with minimum stress. Retirement planning – If you wish to have a decent income in retirement you have to make sure you have a viable retirement plan in place and know how you will get there. You need to know what option suits you best in order to achieve your goal. Our independent financial advisers help you get your finances in order and you can ensure that your family get the most of the experience abroad. International education saving plans – A solid International Education Savings Plan will empower your children to shape their own destiny and do something they really enjoy. Effective planning is crucial for expats and tuition fees are on the rise. By setting up an effective, tax efficient, wealth accumulation international education savings plan you can ensure your child has the best University opportunities and choice for their learning needs. See how Harrison Brook’s Financial Advisers can help you today.